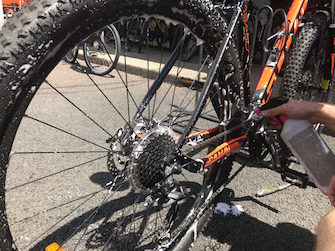 You can recreate that new bike 'feel' of a smooth, effortless and quiet ride, by simply cleaning your bike. 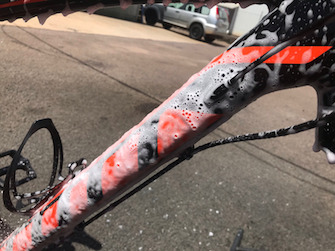 Grit and grime can wear down your components prematurely, so not only does a clean bike ride great, but it lasts you longer and saves you money. 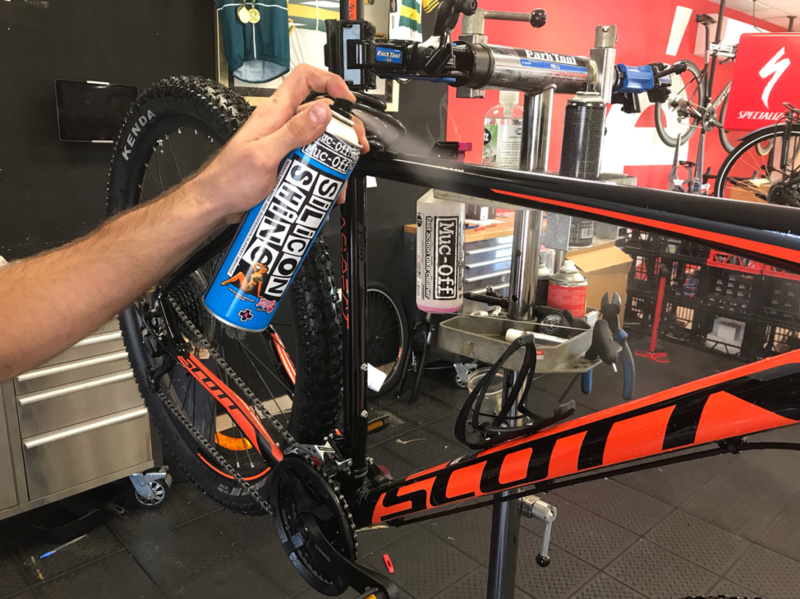 Be sure to use bike specific cleaning products. Its not a gimmick we promise. 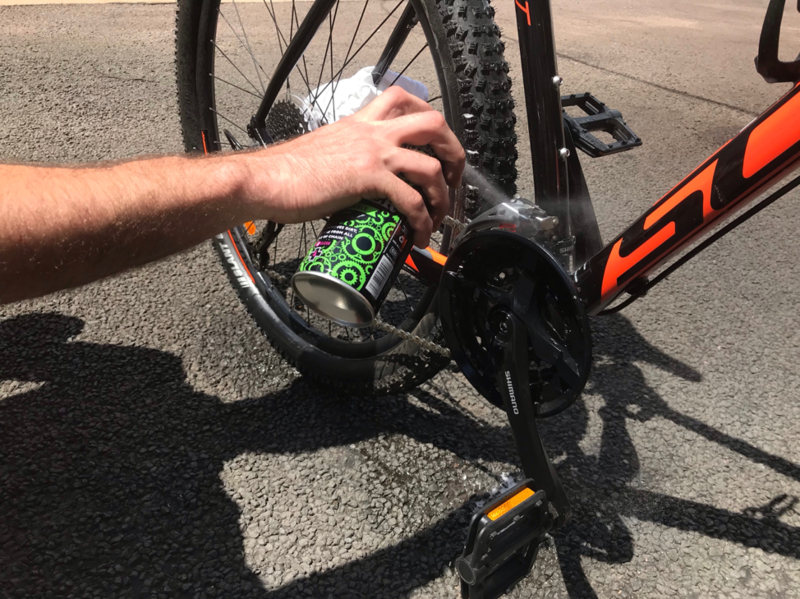 Bike specific cleaning products are designed to be safely used on lightweight materials such as carbon fibre. Whereas car cleaning products for example are much harsher and can cause material breakdown over time. 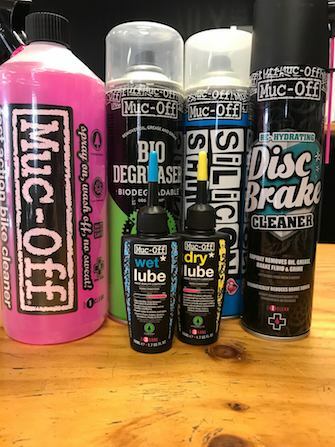 Soak the whole bike in Muc-Off Cleaner Nano Wash Pink. This biodegradable sprat helps brake the dirt down for an easier wash off. Leave this to soak for a few minutes so the spray can work its magic. 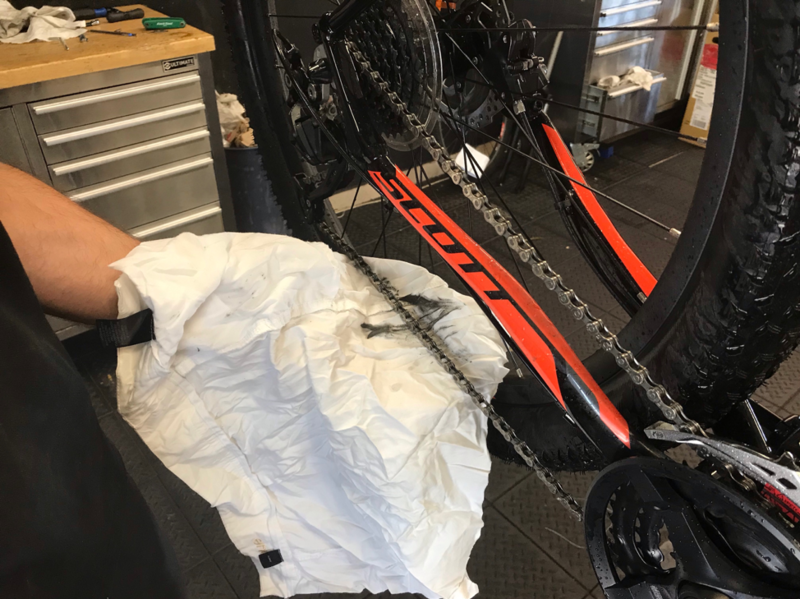 Degrease the drive chain, this includes the cassette, chain, both derailleurs and the crankset. Try to avoid spraying degreaser on the brake track or in this case the disc brake as this can cause contamination. We put a cloth over the disc to make sure no degreaser gets sprayed on it. Once the degreaser has been applied and it starts to brake down the oil and grime get stuck into it with some type of bristle brush. Focusing on the chain rollers this brush will help to dislodge and remove all the hardened muck. Once you have given everywhere a solid scrubbing its time to hose off all product and watch the dirt and grime come off with it. 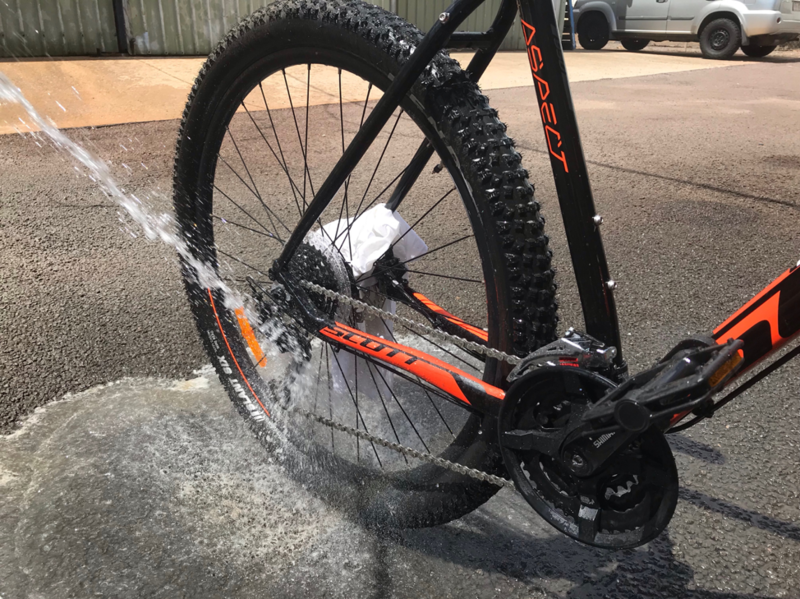 Before your bike dries, give it wipe down with a clean cloth. 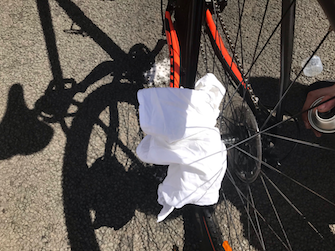 Holding another clean cloth in your left hand, hold onto the chain and back-pedal the crank with your right. Even though the chain may look clean, the rag will tell you otherwise. This technique will help to get all the stubborn grime out of the chain rollers. Use this same technique over your jockey wheels and front chain rings. Once the frame is clean apply some type of polish. This will add a protective barrier to the frame and components so dirt wont stick as easily. 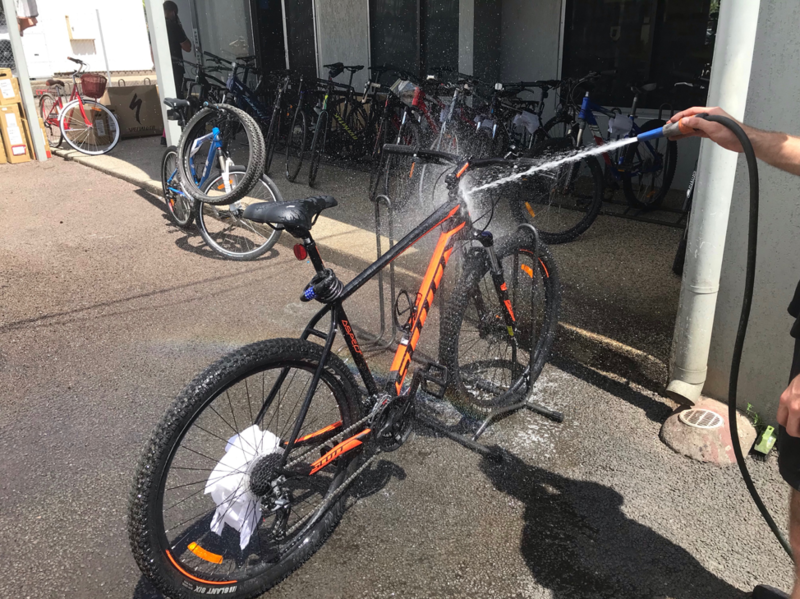 Not only does it make it easier to clean the next time around, it also gives your bike the new shine look again. The final step is to lubricate the chain. Less is more in the case of chain lubricant. One drop of your desired lube to each roller on the chain is plenty. 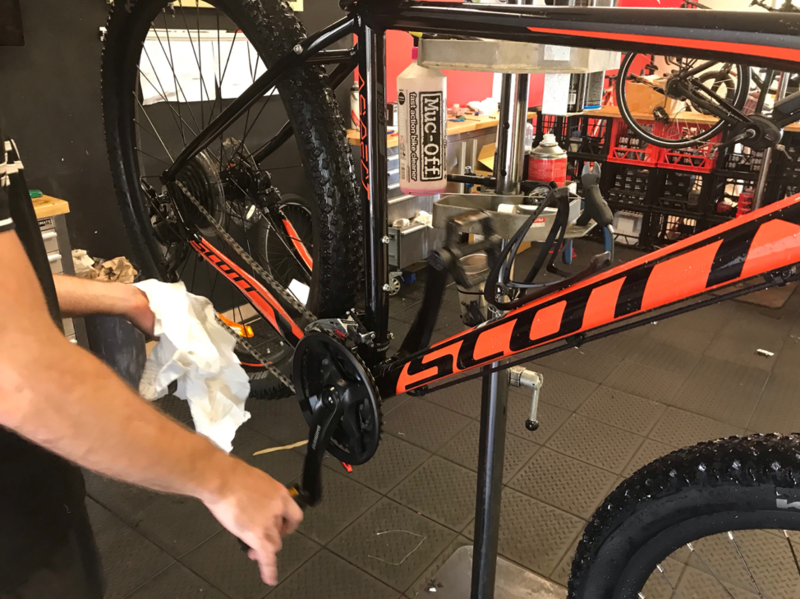 Once the chain is evenly covered, pedal the bike so it works the fresh lube into the rollers. You will know when you have peddled it enough when it feels smooth and quiet. To finish the process, use a clean cloth to wipe off the excess lube. 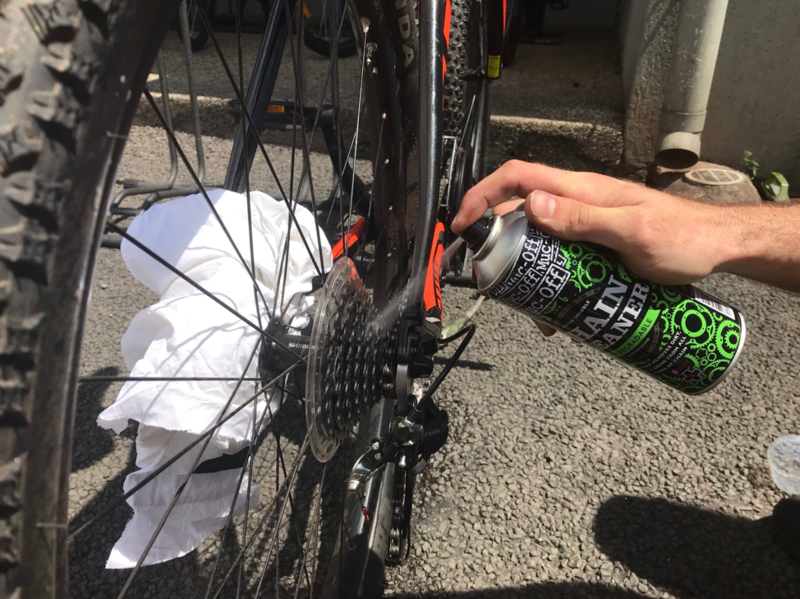 For a smooth, quiet and long lasting ride, be sure to clean your bike with bike specific products, soak it in bike cleaner, degrease your components, brush off the muck, hose it all off, wipe down to dry, apply a polish and lubricate your chain.